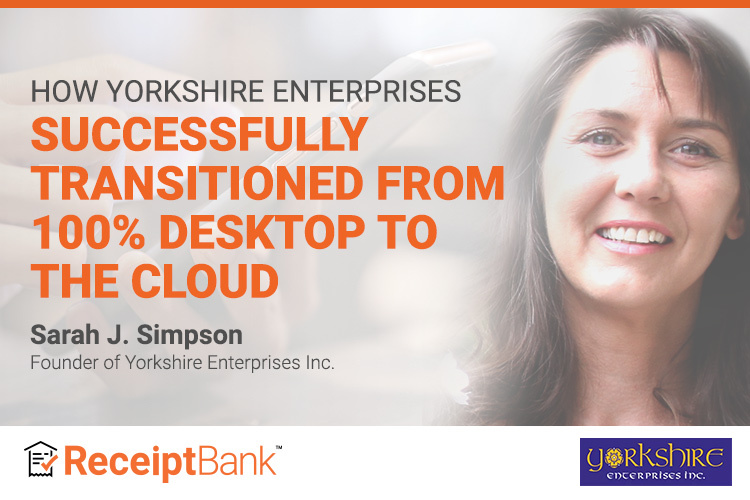 Yorkshire Enterprises, founded by Sarah J. Simpson, CPB, is a practice in Ontario, Canada. Until two and half years ago, it was run 100% on desktop. Now, Sarah looks after 35+ bookkeeping clients and 500+ tax preparation clients almost entirely virtually. With trusting clients she considers family, and industry colleagues supporting her, Sarah relies on cloud technology to grow her business. Here’s Sarah’s story of how she implemented a full technology stack to meet her clients in the cloud. When it was time to move on from this job in 2001, one of Sarah’s suppliers from the machine shop asked if she could still do his books. He referred her services to his brother in law, and Yorkshire Enterprises was born, beginning with just two clients. At the end of the following Tax Season, Sarah’s instructor and two other employees officially joined her in her business. With years of experience combined, Sarah’s new team members brought over 95% of their client base. When those three employees retired a few years later,Sarah knew she needed to make a change in her business to keep up with the work. Now, Sarah looks after 500+ tax prep accounts and 35 monthly bookkeeping accounts on her own and is training her first virtual employee. A self proclaimed “conference junkie”, Sarah has taken every opportunity to learn from others in the industry. “I wanted to gain the extra time in my practice that people kept talking about. Having been in business for 18 years, Sarah’s clients are like family. Having the trust of her clients is critical to Sarah’s success in the cloud. Changing her processes from desktop to digital also called for a change in pricing. Once Sarah began saving time with cloud technology, her hourly bills decreased and a shift in strategy was necessary.